Discover the best things about the cities our hotels call home with our Principal insider's guide series. From their favourite haunts to the must-see attractions, our guides share everything that's great about where they live, work or play. The third in our insider's guides comes from Jenny Rae. 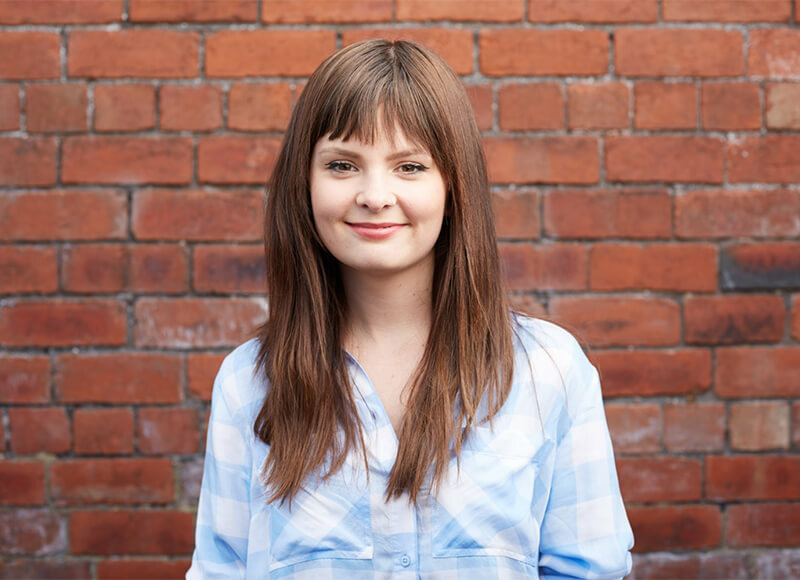 A Brighton born English Literature graduate living in and loving the North, Jenny is a culture buff and arts enthusiast, who loves words, Yorkshire, and big colourful knits. No matter where I’ve visited in the globe, something’s always pulled me back to York. Maybe it’s to do with the charm of the snickets that make you feel like you’ve stepped back in time, or perhaps it’s the hygge-inspiring coffee shops and cafes that line the cobbled streets… Mostly, it’s the unique character of the city itself. There’s nowhere else quite like it! If you fancy a trip, here are my tips on where to while away the hours. 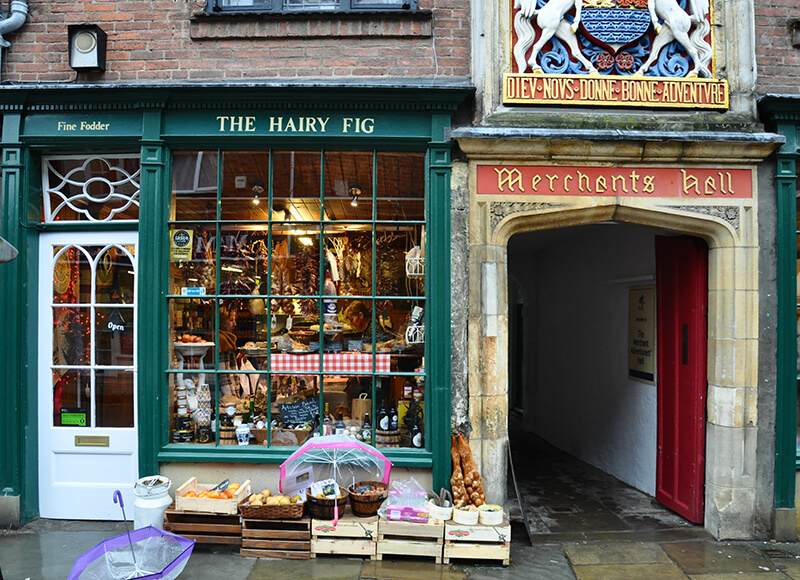 Think Diagon Alley mixed with Tudor England, and you’ll get the Shambles. 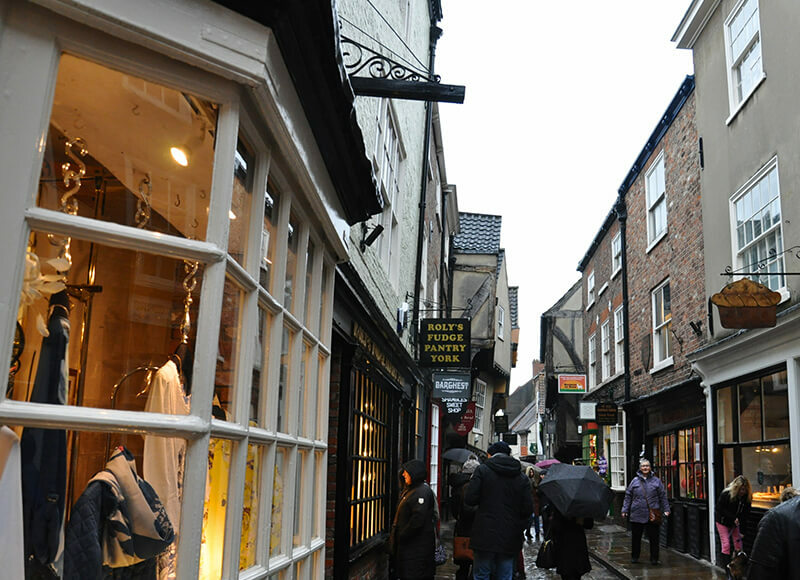 Full of quaint little boutiques and shops, this is York’s most famous street. Stop here for a cup of tea, head to the Shambles Market nearby, or simply take your photo with the overhead touching houses. Places of note are the wonderful Flax & Twine, and the Shambles Kitchen! Is anything quite as grand as York Minster? It’s the largest gothic cathedral in Northern Europe, and can be seen from the entirety of the city. 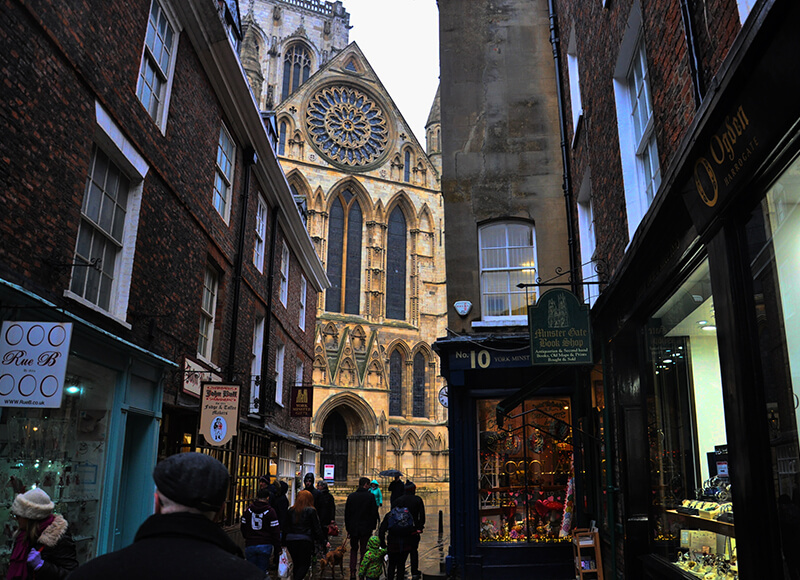 This is my favourite thing to do in York – walk. There’s so much to see, and so many nooks and crannies that take you back to Dickensian England. These streets are Ye Olde England at their finest, especially the one named Whip-Ma-Whop-Ma-Gate. The green luscious Museum Gardens are the go-to Summer sitting spot. For timeless vintage clothing and accessories head to Bowler. There’s everything from 1950's dresses to harris tweed jackets – all unique, and all affordable. The premise is simple – choose a bottle, and then choose a booze. Options from this liquid deli originating in Edinburgh include elderflower vodka, Seville orange gin, and Demijohn’s own blends. By York Minster you’ll find this labyrinth of paperbacks. Half the price of Waterstones, you’re sure to pick up a bargain here, or at least to find a cosy spot to read. Find a book, find a seat, or even just wander around this magnificent building. 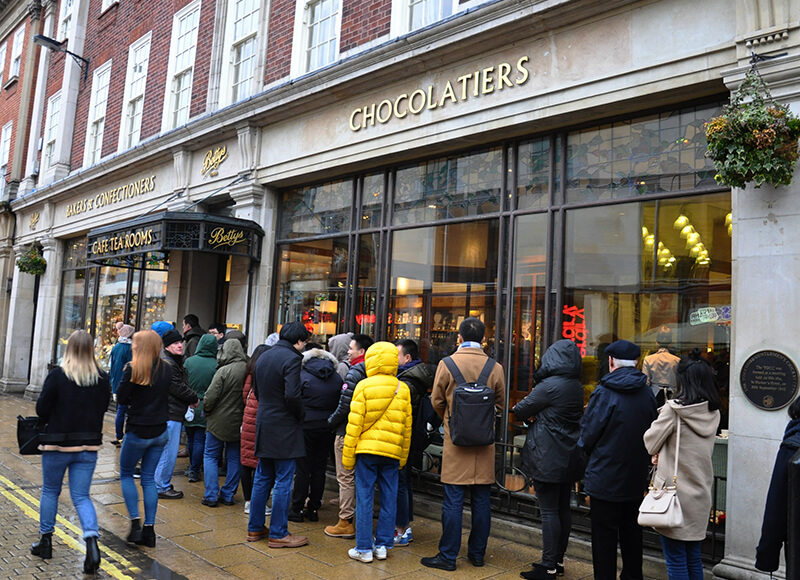 If you’ve been into the centre of York, you’ll be well aware of this infamous queue. Bettys, essentially an upmarket tearoom is a Yorkshire institution. This one in particular is pretty spectacular, hence the hype. But who needs a queue? This branch is the locals’ Bettys and just won an award within all the Bettys for the best customer service. 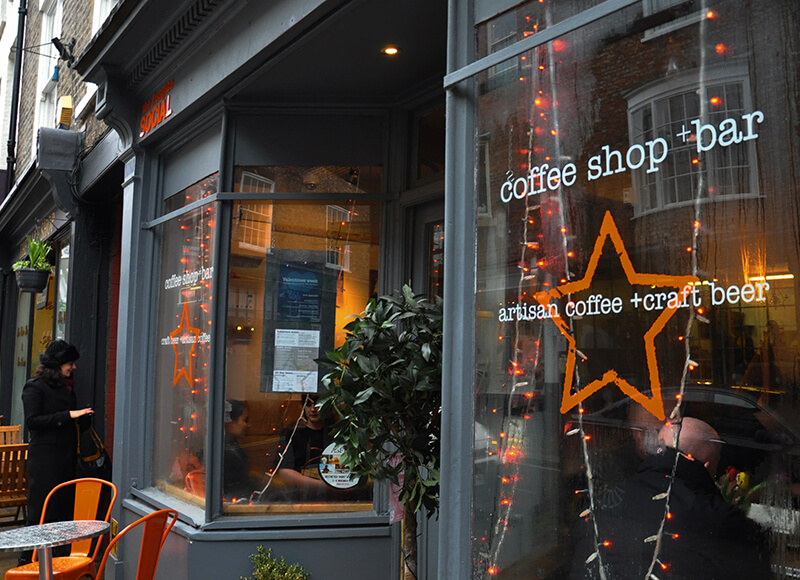 This Walmgate Polish café oozes with charm and cosiness. Head here if courgette fritters, beef pierogis, and orange salad dressings are your things!. Visit if you fancy a hearty, healthy brunch made with fresh Yorkshire produce, with a side of sustainable coffee ground in the Lake District. The interior is reminiscent of a Danish coffee house – wooden tables, blue cups, and hanging lighting. Brunch options include everything from the classic avocado on toast to pancake stacks. Sotano is the perfect date spot. Head to Little Stonegate, down the stairs, and you’ll find yourself in a Spanish wine cellar style bar, complete with cosy tables and the occasional DJ night. Eat the charcuterie and drink wine. Fossgate is one of my favourite areas of York, primarily because it houses this beauty. If you’d like a hundred years old balsamic vinegar, or a truffle honey, this is the place for you. There’s also a café that knocks up delicious brunches. This York pub has a taxidermy wall and a fine selection of ales and grub. By day you can grab lunch and a tangerine and ginger tea here… By night you can pick from a selection of specialist gins in the Attic! This is my favourite watering hole in York, mainly because there’s a gorgeous selection of cocktails (including a cracking Espresso Martini) and also because both the upstairs and the downstairs provide unique places to sit, reflect and enjoy a drink – be it a brew or a beer. Outside there’s a cubbyhole which’ll provide the perfect spring newspaper reading spot.